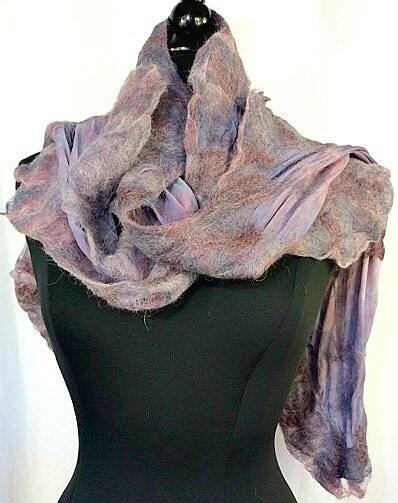 This delicate, light and lovely scarf was made with lots of special touches. It is simple and elegant. It was made through the process of wet felting with hand dyed silk and felted with pale purple, light pink, lavender and blue alpaca and merino wool with Tussah silk. 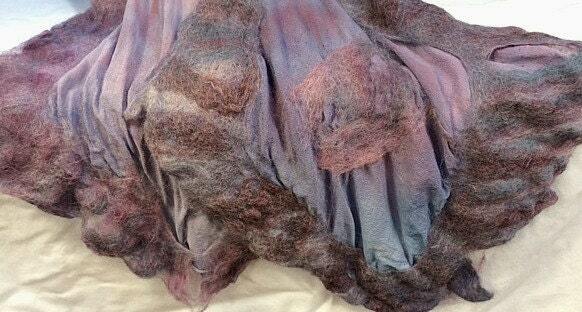 It is felted lightly on both sides of the fabric, thus it is reversible. This scarf is meant to bring you peace, serenity, and happiness.